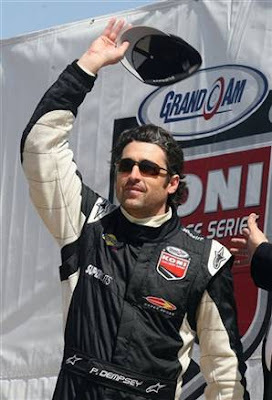 Actor Patrick Dempsey, a star of the TV medical drama “Grey’s Anatomy,” will drive the Chevrolet Corvette pace car for the Indianapolis 500 on May 27. Dempsey, co-owner of the Vision Racing team, will lead the field of 33 drivers to the green flag at the start of the race. Indianapolis Motor Speedway president Joie Chitwood said Tuesday that Dempsey has developed a bond with racing and the track. “So he truly understands and appreciates the pageantry, prestige and tradition of the month of May and the Indianapolis 500,” he said. Dempsey has driven in sports car races and off-road events, and is a partner in Vision Racing with IRL and Speedway chief executive Tony George. Last year’s pace car driver was seven-time Tour de France winner Lance Armstrong. Other drivers in recent years included former Secretary of State Colin Powell, actors Morgan Freeman, Anthony Edwards and Jim Caviezel and talk-show host Jay Leno.